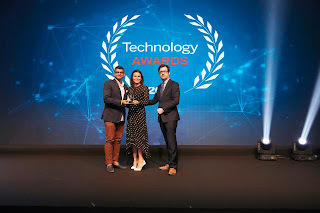 Cairo, Egypt – 2 April 2019: Mastercard (NYSE: MA) has won the title of ‘Future of Payments Company of the Year’ at the inaugural 2019 Arabian Business Technology Awards. The award was given in recognition of Mastercard’s continuous innovation to realizing the future of payment technologies across the Middle East and North Africa and reimagining the consumer payment experience with cutting-edge solutions. As part of its goal to positively impact the lives of millions of people and enabling communities to move towards more advanced, digital economies, Mastercard has developed and launched several technology ‘global-firsts’ across the region and celebrated numerous milestones over the past year. These include the company signing on as Expo 2020 Dubai’s official technology partner, with the mission to bring the latest in payments innovation for the expected 25 million visits for one of the world’s largest events. Additionally, in 2018, Mastercard enabled the expansion of ecommerce in Saudi Arabia by strategically partnering with mada, launching the region’s first commercially available biometric payment solution in Kuwait, and accelerating the adoption of digital wallets and mobile payments solutions throughout the GCC. 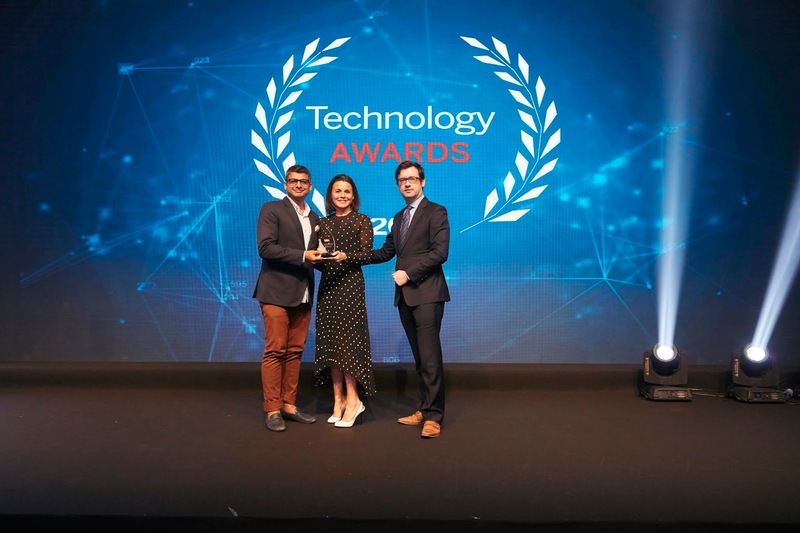 The 2019 Arabian Business Technology Awards ceremony took place at Jumeirah Emirates Towers on March 31st. The picture is a courtesy of ITP: Beatrice Cornacchia, Senior Vice President, Marketing and Communications, MEA, Mastercard and Gaurang Shah, Senior Vice President, Digital and Labs, MEA, Mastercard. ماستركارد تفوز بجائزة "أفضل شركة مدفوعات مستقبلية للعام"
القاهرة، مصر، 2 أبريل 2019: أعلنت ماستركارد (NYSE: MA)، الشركة العالمية الرائدة في مجال تكنولوجيا حلول الدفع، عن فوزها بجائزة "أفضل شركة مدفوعات مستقبلية للعام" ضمن جوائز مجلة أرابيان بيزنس للتقنية، وذلك لقاء ابتكاراتها المستمرة الهادفة لبناء مستقبل تقنية سداد الدفعات في منطقة الشرق الأوسط وشمال إفريقيا وإعادة تصور تجربة مدفوعات المستهلك من خلال الحلول التقنية الحديثة. وفي هذا السياق، قالت بياتريس كورناكيا، نائب أول رئيس قسم التسويق والاتصال لمنطقة الشرق الأوسط وإفريقيا في ماستركارد: "تعتبر هذه الجائزة شهادة على ثقة شركائنا الراسخة بعلامتنا ومنتجاتنا وحلولنا. نحن نستخدم تقنياتنا وخبراتنا التي تمتد لأكثر من 30 عامًا في المنطقة لجعل المدفوعات أكثر أمانًا وبساطة في مختلف أنحاء المنطقة".